Location of Tehuacán within the state of Puebla. Tehuacán (Spanish pronunciation: [tewaˈkan]) is the second largest city in the Mexican state of Puebla, nestled in the Southeast Valley of Tehuacán, bordering the states of Oaxaca and Veracruz. The 2010 census reported a population of 248,716 in the city and 274,906 in the surrounding Tehuacán Municipality, of which it serves as municipal seat. The municipality has an area of 390.36 km² (150.72 sq mi). Originally a Native American settlement, it became officially a city in the Viceroyalty of New Spain in 1660. Tehuacan is known for hosting many diverse festivals that celebrate traditions and costumes earned through the years from the ancient natives. One of the most recognized festival in the last 15 years is the Festival Internacional de Tehuacán 1660 which celebrates the artistic and cultural backgrounds of the city. In the late nineteenth century, the city was well known for its mineral springs. In fact, Peñafiel (now owned by Cadbury Schweppes), a well-known soft drinks manufacturer, extracts water from these wells for use in their products. Tehuacán also has an important cluster of poultry producers, making the city and its surroundings one of the most important egg-producing regions in Mexico. The main economic activity in the Tehuacán valley is poultry production. The municipality is the second largest producer of table eggs in the country with over 25 million layers housed plus a significant production of broilers for chicken meat. Companies that dominate the industry include El Calvario, Mr. Egg, Huevo Tehuacán, PATSA and IMSA. After the NAFTA agreement had been signed, Tehuacán saw a flood of textile maquiladoras established in the city and surrounding areas. These textile factories principally put together blue jeans for export to companies such as The Gap, Guess, Old Navy, and JC Penney. At the height of the maquila (short for maquiladora) boom, there were an estimated number of more than 700 maquilas in town, including those that were operating from homes, often in secret. While this situation created a negative unemployment (zero unemployment) and the maquilas sought workers as far away as Orizaba and Córdoba in the neighboring state of Veracruz, it also created an urban and environmental nightmare. In one decade, Tehuacán went from being a town of 150,000 inhabitants to a city of 360,000. Although many maquilas have closed today, in 2007 there were still over 700 of them found in Tehuacán. Tehuacán is located in the southeastern part of Mexico. Northern bordering cities are Tepanco de López, Santiago Miahuatlán, Vicente Guerrero y Nicolás Bravo; Eastern Vicente Guerrero, San Antonio Cañada y Ajalpan; Southern San Gabriel Chilac, Zapotitlán, San Antonio Texcala y Altepexi; and Western Zapotitlán, San Martín Atexcal, Juan N. Méndez y Tepanco de López. The city of Tehuacan has a population of 248,716 with a geographical weather of 19 degrees Celsius most of the year. Tehuacan is an important territory known as the Tehuacan Valley with a diverse ecosystem. Another important geographical factor to consider about the region of Oaxaca and Tehuacan valley is the telluric area where the city is located. 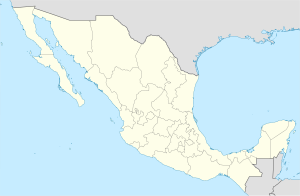 Tehucan is surrounded by the Neovolcanic Axis that covers the states of Nayarit, Jalisco, Colima, Michoacán, Guanajuato, Querétaro, México, Hidalgo, Morelos, Tlaxcala, Puebla and Veracruz. This Axis connects the main active volcanoes of the region and because of this volcanic activity the city presents continuous movements of Earth, specially during summer and spring seasons. Tehuacan Valley presents a high diversity of plant and animal species, especially the Tehuacan-Cuicatlán Biosphere Reserve located 30 minutes southwest from Tehuacan, that belongs to the city and protects 200 Cactus species, most of them endangered types. Tehuacan offers a diversity of attractions, from outside activities to historical places and museums that keep years of history not just from the region but from ancient times and establishment of the Mexican Republic. Peñafiel and Garci Crespo Natural Springs Underground galleries that are the production facilities for the famous mineral water known as “Agua Tehuacan”. This is part of a natural process as a result of snow melting from the volcanoes which contain a high level of minerals, making it bubbly. Ex-Convent of San Francisco is a 16th-century monastic complex that was used as the house of one of the most renewed schools of Latin in the New Spain. The architecture and history printed on its walls painting shows the transition from one time of history to other. Museum of Mineralogy is a museum that has a private collection from Don Seferino Romero, one of the most recognizes figures of Tehucan city that donate important art and scientific pieces such as moonstones, fossils minerals and meteorites given as presents and others found in the Tehucan Valley region during diverse explorations through the times. The Cactus Botanical Garden is located 30 minutes away from the city at the south area of the Tehucan Valley and it preserves more than 200 cactus species in all the area, making it the biggest diversity ecosystem around the world. The transition from nomadic hunting and gathering to a settled, agricultural way of life in Tehuacan valley has been the subject of extensive study. The valley was home to the Tehuacán culture (5000 BCE–2300 BCE). Archaeologist Richard MacNeish with his collaborators conducted a large-scale reconnaissance and excavation project in Tehuacán that was carried out between 1960 and 1965. MacNeish and his team tested 15 caves, then concentrated on 6 named El Riego, Tecorral, San Marcos, Purrón, Abejas, and Coxcatlán. The results were published in a five volume edited series, and attracted much attention. "MacNeish found that a Late Archaic complex of stone bowls was followed by Mexico’s first pottery. Named for Purrón Cave, where they first appeared, these monochrome Mexican ceramics resembled (and briefly coexisted with) the stone bowls." Historically, the Valley of Tehuacán is important to the whole of Mexico, as the most ancient forms of cultivated maize known were found here by archeologists. According to the MacNeish (MacNeish, 1981, 1985), the Valley of Tehuacán was the first place maize was ever cultivated by humankind. He arrived at this conclusion when he found over 10,000 teosinte cobs in what is now known as the Coxcatlan Cave. What he found were actually halfway between maize and teosinte—corncobs the size of a cigarette filter. Later, in 1989, his work was re-evaluated and confirmed. Zea mays samples from Cueva San Marcos and from Cueva Coxcatlan in Tehuacan neighborhood had been tested. The oldest dates were 4700 BP (uncalibrated) or 3600 BC (calibrated). These sites are located in the Balsas River valley, which continues downstream into the Guerrero state. There are also very early maize sites there, which more recently attracted attention. More recent evidence supports Balsas River valley as the first place in the world where maize was first domesticated about 9000 years ago. The so-called "Balsas teosinte", now considered to be the direct predecessor of maize, grows mostly in the middle part of the Balsas valley at this time. In the past, it may have grown in other parts of this valley, depending on palaeoclimatology studies. The recent debate among scientists was where exactly in the Balsas River valley this type of teosinte (Zea mays ssp. parviglumis) grew. Tehuacán Valley matorral — Deserts and xeric shrublands ecoregion in the Valley. ^ "Traveling Mexico, Complete Travel Guide". Traveling Mexico. ^ Population data from Census of 2005. INEGI: Instituto National du Estadistica y Geographia (2011). INEGI - México en cifras. Archived from the original on 2011-04-20. ^ Instituto para el Federalismo y el Desarrollo Municipal (2010). "Enciclopedia de los Municipios de México". www.e-local.gob.mx. Archived from the original on 2004-05-07. ^ "The World's Leading Broiler, Turkey and Egg Producers". www.wattagnet.com. ^ Jo Tuckman (August 17, 2007). "Distressed denim trend costs Mexican farmers the earth". Retrieved January 23, 2011. ^ Richard MacNeish, ed., 1967-72 The Prehistory of the Tehuacán Valley, vols. 1-5. Austin: University of Texas Press. ^ Long, Austin, Bruce F. Benz, Douglas J. Donahue, AJ T. Jull, and Lawrence J. Toolin. First direct AMS dates on early maize from Tehuacán, Mexico. Radiocarbon 31, no. 3 (1989): 1035-1040. ^ Matsuoka, Y.; Vigouroux, Y; Goodman, MM; Sanchez G, J; Buckler, E; Doebley, J (2002). "A single domestication for maize shown by multilocus microsatellite genotyping". Proceedings of the National Academy of Sciences. 99 (9): 6080–4. doi:10.1073/pnas.052125199. PMC 122905. PMID 11983901. Wikimedia Commons has media related to Tehuacán. Diving Destiny Circle of Blue tells the story of one Tehuacán Valley community's response to Mexico's worst water crisis in decades. This page was last edited on 4 February 2019, at 10:46 (UTC).